Call 419-578-7515Are You a Candidate? More than 80% of orthopedic cases can be treated with Regenexx to produce equal or better outcomes, faster and without surgery. Regenexx Helps Your Body Heal Itself. Learn More Below. Regenexx® patented stem cell procedures and our advanced blood platelet procedures are used to treat moderate to severe joint arthritis and are a viable alternative for the majority of patients who are considering a joint replacement. 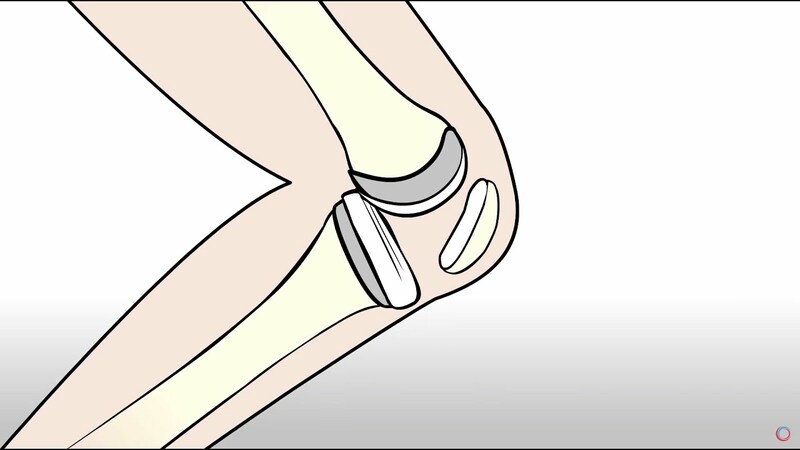 Knee replacement surgery comes with many serious risks and complications, but is often considered to be a straightforward and accepted approach to treatment for those suffering from significant arthritis or injury in this joint. Before you consider knee replacement, learn what Regenexx can do for you and download our free report. Adult stem cells are cells from your own body that can renew themselves and turn into other cells (differentiate). They live inside all of us in various tissues, poised to leap into action to repair damage as it occurs. As we age or have big injuries, we may not be able to recruit enough of these cells to the site to fully repair the area. Regenexx Stem Cell Procedures help overcome this problem by extracting stem cells from an area of high volume, then concentrating the cells and reinjecting them into the damaged area to help the body heal naturally. Our Patented Stem Cell Procedures can be used for a wide range of conditions and are the tool of choice for injuries, arthritis and other conditions that may be more significant than what may be treated with our Platelet Rich Plasma or Platelet Lysate Procedures. Platelet Rich Plasma (PRP) and Platelet Lysate Injection Treatments contain healing growth components from your own blood that increase your body’s natural ability to repair itself. The use of PRP to repair joint, tendon, ligament, and muscle injuries is becoming well known, thanks to exposure from professional athletes. Platelet injection treatments are effective because they have a stimulating effect on the stem cells within the targeted area, making those stem cells work harder to heal damaged tissues. Our Advanced Platelet Procedures are more pure and concentrated than those created by the automated machines used at most regenerative medicine clinics. Platelet procedures are commonly used for soft tissue injuries and mild arthritis. Find the Regenexx Provider Nearest You – Then Call Us. Find your nearest provider on the map and note the name of the clinic. Then call us at 419-578-7515 for details on scheduling an appointment and ensuring coverage for your visit and treatment. Not Within Driving Distance of a Regenexx Location? Click for Phone Consultation Information. Not Within Driving Distance of a Regenexx Location? Schedule a Phone Consultation! If patient does not have a current MRI they will need their primary care physician to order one. Once the medical records have been received by the physician, a staff member will reach out to schedule your phone consultation. During the phone consultation the Regenexx Physician will determine the patient’s candidacy for a Regenexx procedure. If you would like to find out where your closest Regenexx Provider is located or have questions about the phone consultation process please call Regenexx at 419-578-7515. Click to view information within each toggle. Is Regenexx covered by my company medical plan? Regenexx procedures are a covered benefit (subject to any copays, deductibles, and coinsurance) for members enrolled in a company medical plan administered by Quantum Health with the Paramount network . For help with eligibility and benefit questions, contact a Quantum Care Coordinator at 855-512-9991. To schedule, call Regenexx at 866-840-9328. The Regenexx centralized call center will coordinate your new patient evaluation. Our patient education staff will help answer your questions so you can make a fully informed decision on next steps. What is the out-of-pocket cost? Your out-of-pocket cost will depend on (1) your course of treatment, (2) your specific medical plan, and (3) your progress toward meeting your deductible and out-of-pocket max for the calendar year. How do I know if I would be a good candidate for a Regenexx procedure? After an initial evaluation, a Regenexx physician can determine if you are a good candidate for a Regenexx procedure and recommend a course of treatment. The initial evaluation takes approximately 60 minutes and will consist of a review of your health history and examination of the impacted area(s). If you have any recent imaging (e.g. MRI or x-ray), the Regenexx facility may request a copy and/or other medical information/records related to the injury. The Regenexx physician will provide an analysis of the injured area(s) and a recommended course of treatment. At this time, Regenexx staff will walk you through what your estimated procedure will cost with your insurance benefits. What other out-of-pocket expenses can I expect with the Regenexx procedure? Your cost for any recommended diagnostics or procedures will be a combination of copays, deductible costs, and co-insurance, depending on your medical plan. We encourage you to have your evaluation first to determine your specific treatment plan to accurately estimate your patient responsibility. If you have any questions, you can call the Regenexx billing team. Prior to your procedure, Regenexx is able to estimate the amount of the procedure that is your responsibility. This total is calculated from your deductible, your out-of-pocket maximum, and any copay or coinsurance you may owe. That total is adjusted for the special discount employees have with Regenexx and is due prior to your procedure. Since other health care claims you may have could process between the time we quote you the rate and the time our claims process, this calculation is only an estimate of the final amount owed. We will true-up this amount after all claims have finished processing. At that point, you may owe additional fees or may receive a refund of a portion of your payment. Our goal is to provide you complete transparency in costs so you can make a fully informed decision on your procedure. Join Dr. Chris Centeno for a Regenexx Webinar! Dr. Chris Centeno, Regenexx founder, presents this webinar discussing the #1 Stem Cell & Platelet Procedures for treating arthritis, common joint injuries & spine pain. Select a date & time that works best for you. Plan on 50 minutes.